Aldi has revealed that its John Lewis Christmas ad spoof was off-the-cuff, with the 'Man on the Moon' parody taking just ten days from script sign-off to airing on TV. Earlier this week, the discounter unveiled a humorous send-up of the touching John Lewis Christmas campaign. 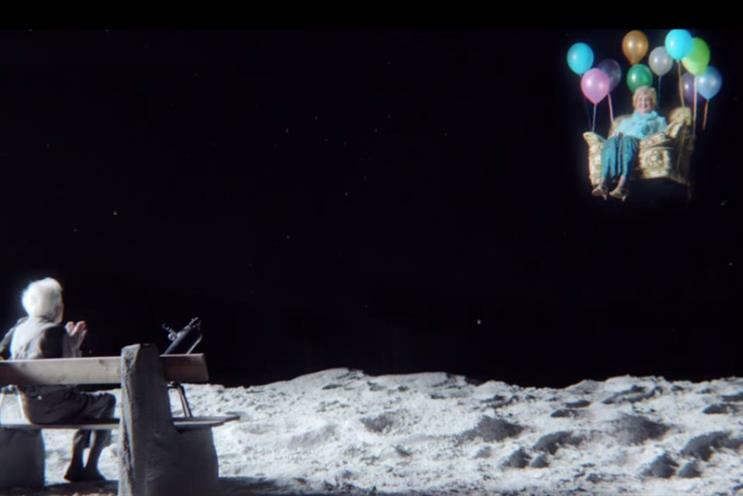 Like the original version, Aldi's spot featured a lonely, elderly gentleman stranded on the moon. But using his budget Aldi telescope, he spots that a gift from planet Earth is on its way, in the form of Aldi granny Jean Jones. The ad wasn't pre-meditated, however, according to UK marketing director Adam Zavalis. He told Marketing, "The advert was created spontaneously and from the script sign off to the advert being on air, took just ten days. "A wry sense of humour is one of the key elements of our brand identity and something that has helped us resonate with consumers since 2011, when our very first ‘Like Brands’ campaign was launched." Asked whether marketers needed to be more reactive, he added: "We have a strategy and a defined vision for the brand, but in such a competitive landscape we need to be flexible and dynamic to be able to react to appropriate opportunities." Aldi, of course, is steaming ahead on market share compared with rival supermarkets, gaining 10% of the market with rival Lidl earlier this year. Zavalis said: "We can’t comment for other marketers, but at Aldi, we focus on putting customers first and creating content that consumers will find engaging and enjoy." As popular as the yearly John Lewis festive outing is, response to Aldi's send-up as been largely positive, Zavalis added. "The overwhelmingly positive responses across social media seems to suggest that this execution has resonated with customers up and down the land," he said. The ad has racked up more than 1.5m hits on YouTube.